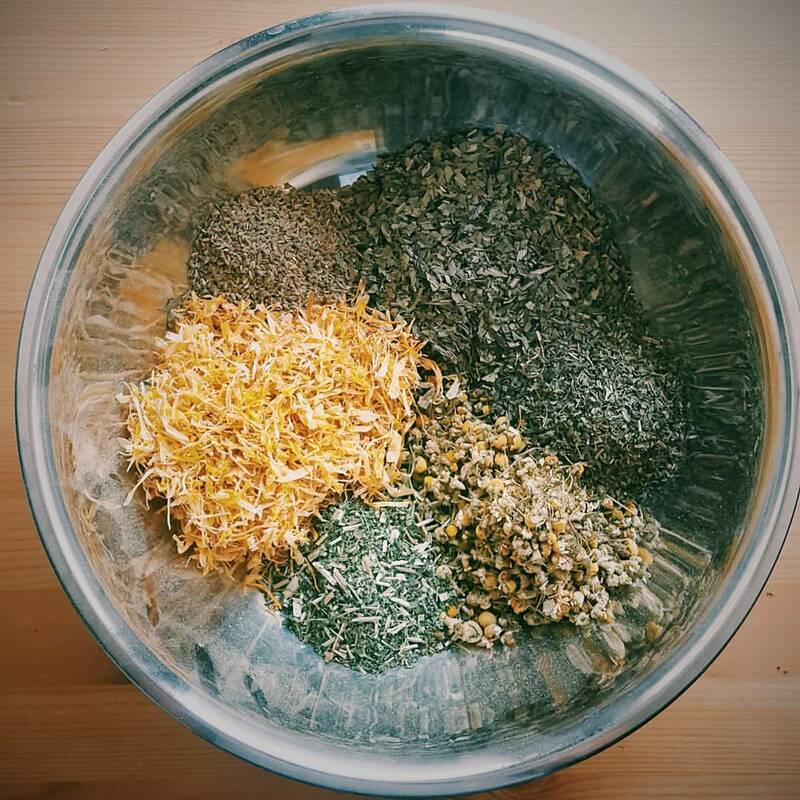 Organic gut-healing herbal tea. I use this tea a lot with many of my clients with digestive problems but also for those with autoimmune conditions where I identify a leaky gut. It smells delicious, tastes great and most important – it works. 1. Anti-inflammatory for the digestive tract (Meadowsweet contains salicylic acid which is the natural form of aspirin without the side-effects). 2. Antimicrobial & anti-fungal: helps sort out gut dysbiosis allowing good bacteria to thrive. 3. Demulcent: the mucilage content of Marigold and Ribwort helps heal internal sores found in the gut. 4. Astringent: the tannin constituents help tighten up the gut reducing the increased permeability seen in leaky gut.